Online payroll software packages are used by businesses to streamline and automate the process of reimbursing their employees. Payroll software is often sold by human resources vendors. Sometimes, the software can be collected as a component of a larger enterprise resource planning package. 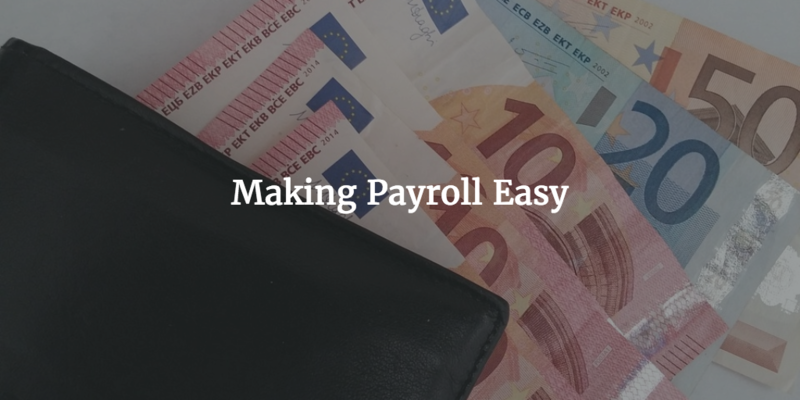 A number of different functions can be performed using the payroll management software. This includes automating the calculation of withholdings or deductions, voiding payments, processing direct deposits, producing tax forms and generating other reports that are associated with payroll management. Certain software systems are equipped with a cheque printing option. Powered by ADP, this software is a web-based payroll solution that caters to the needs of small businesses. One of the biggest problems with payroll management software packages is that they do not have a specified target audience. This is not the case with RUN. This system was built to help entrepreneurs optimize the day to day operations of their small business. The system can be deployed on a range of touchscreen devices including the iPhone and the iPad. It has the capability to integrate with multiple third party accounting software and human resource management services that are also powered by ADP. With RUN, users can track and verify cash requirements before proceeding to process the payouts. It is equipped with state of the art reporting and analytics capabilities that allow users to monitor and view a full analysis of their monthly payroll operations. Furthermore, the dedicated HR portal gives users the luxury of storing all critical information in one place. Perhaps the best thing about RUN is that it supplies users with online resources from ADP that provides information on the best payroll practices for small businesses. Kronos describes this product of theirs as a human resources platform that provides high quality enterprise class human capital management. In simpler words, this is a well integrated and highly intelligent online payroll management software. This cloud based solution can help you complete a number of activities associated with human capital management. This includes recruiting, performance tracking, reimbursement planning, time and attendance record, absence management, scheduling and payroll among others. With Workforce Ready, you can have a single employee record that is shared across a number of different platforms for your convenience. This basically means that there is a single database for all employee information. The software lets you update the date in real time which improves the decision making ability of managers. On top of that, you can use Workforce Ready’s mobile application without paying any additional cost. This web-based payroll management system is designed for small and midsized companies. It is compatible with businesses from any industry. That being said, companies that have less than five departments are likely to benefit the most from using Sage. For the smaller companies, Sage provides a pretty straightforward platform that users can access using their phones or a web browser of their choice. The software can be used to directly pay employees through deposits, pay cards and company-generated cheques. The Sage Payroll Full service is compatible with mid-sized companies that have five or more departments. This is an advanced version of the previously discussed platform as it comes equipped with a report-writer tool, GL export option, and support from a professional payroll expert that is assigned to work with a particular company. Ascentis provides a full-fledged human capital management suite that is programmed to source, recruit and onboard the best candidates for the job. Needless to say, this system can also be used to manage the payroll. Other exciting features of the software include career portals, built in sharing and candidate data analysis. Those interested in simply the payroll management aspect of Ascentis should look for Ascentis Payroll. This is essentially an online payroll system that gives users the ability to process payroll in real time. It has built-in live processing and auditing. The best thing about using this payroll management software is that it is seamlessly integrated with Ascentis HR which is one of the best human capital management software suites available in the market. Ascentis Payroll can also be integrated with Ascentis Time which is a dedicated platform for keeping track of employee attendance. Ascentis Payroll is built on the Microsoft SQL server database and has a high security data storage facility. APS is short for Automated Payroll Systems Inc. This company has been offering payroll and tax compliance services to businesses for more than 20 years. The APS is a cloud-based solution for human capital management that was released in the year 2004. The most distinguishable feature of APS is that it combines all its services in an optimized format which enables users to scale the software and make it compatible with a business of any size belonging to any industry. APS provides users with a range of configurable tools that allow them to manage payroll, absence, time and attendance. It works around a centralized database, which means that once the employee information has been inserted into the system, it becomes readily available across all platforms. APS helps companies save time on tedious payroll tasks by automating workflows. It essentially eliminates any paperwork related to managing the payroll and helps users track data changes through an electronic audit trail. What sets APS apart are the robust, customizable reporting tools that enable HR professionals to concentrate on key strategic moves. This post is from Accountant Online, who work with Irish companies, new company formations and tech centered businesses. Can Social Media Help Your Small Business Grow? What is Real-Time Reporting for PAYE?